Join us for a discussion about Advanced Financing Options as told by a Practitioner (Frank Douglass / Director, Treasury, WEX Inc.) and a Banker (Jane Parker / Senior Relationship Manager, Bank of America Merrill Lynch). Frank and Jane will discuss the pros and cons of various financing options, the stakeholder considerations for each option, and will break down the terminology that is used in the financial marketplace, while using WEX’s business as a point of reference. The education session will be followed by a brewery tour, food and drinks, and networking! It is anticipated this meeting will qualify for 1.2 CTP/FP&A renewal credits. Bi-lingual in English and Japanese, Frank began his career working for a super-regional Japanese bank in Tokyo, eventually accepting posts in New York and Hong Kong. He moved to Maine in 1997, joining Wright Express in 2000. Frank started his career at Wright Express managing the Accounts Receivable group, moving to Operations two years later to oversee all businesses operating on independent platforms. Returning to Finance in 2005, Frank worked as Cash Manager and Treasury Manager before being appointed Assistant Treasurer in late 2010. Frank’s bachelor’s degree in International Studies is from the University of Washington. He finished his MBA in Technology Management from the University of Phoenix in January of 2007 and became a CTP in January 2008. In his spare time, Frank enjoys travel, reading and fusing glass. 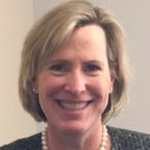 Jane Parker joined Bank of America Merrill Lynch in 2001. She currently serves as a Senior Relationship Manager in Maine. Jane began her career as a CPA at Coopers & Lybrand. She then joined Casco Northern Bank (Bank of Boston subsidiary) and Key Bank in Portland, Maine where she served in many roles such as a Relationship Manager, Credit Officer, and Portfolio Manager from 1990 until 2001. Jane received her Bachelor of Science in Accountancy from Miami University, Oxford, Ohio. Jane remains active in the community as president of Yarmouth Basketball Boosters, as an Olympia Leaders Advisor with the Olympia Snowe Women’s Leadership Institute, and as a volunteer for The Fresh Air Fund and other local groups.